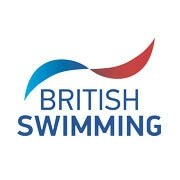 Harry Whiteman was a mere speck at the end of the pool after he won the men’s 17yrs 1500m Freestyle in session four of the Swim England National Summer Meet. Although he went out slightly slower than other competitors in his age group, by the halfway stage he started moving through field. The City of Peterborough swimmer was almost 12 seconds faster than any other competitor at the touch, clocking 16:31.32 for a new personal best time. Second place went to Rhys Taylor of Nova Centurion, who made it to the wall in 16:43.25 for silver. West Norfolk swimmer Luke Bryan was just half a body length behind as he took bronze in 16:44.10. Thomas Menlove swam a new personal best time to claim gold in the men’s 16yrs 1500m Free. The Winchester swimmer is swimming in his first national championships, and he was almost two seconds ahead of second place to claim the title. Menlove touched in 16:42.85 to top the podium. Silver went to Ralph Muncer of City of St Albans with a time of 16:44.61 and the bronze medal was presented to Borough of Kirklees’ Adam Law (16:54.08).